Can My Mortgage Holder Touch My IRA? Bankruptcy can protect your IRA. 1. Can an IRA Be Seized in New Jersey? 3. Is Roth IRA Safe From Collectors? An individual retirement account provides benefits to you and your beneficiaries. A traditional IRA postpones taxes on the income you contribute and the earnings on your contributions. However, the money in your IRA can be a tempting target for creditors, such as your mortgage holder. Congress provides some protection. The Bankruptcy Abuse Prevention and Consumer Protection Act of 2005 protects the first $1 million of your IRA from creditors, but only if you declare bankruptcy. This applies to traditional and Roth IRAs and to money rolled into these accounts from SEP and SIMPLE IRAs. Furthermore, rollovers into an IRA from a qualified retirement plan, such as a 401(k) and 403(b), enjoy further “anti-alienation” protection from creditors under the Employee Retirement Income Security Act. By maintaining transferred qualified plan assets in a rollover IRA, you can shield the account from creditors without resorting to bankruptcy. Although bankruptcy will keep your mortgage holder’s mitts off your IRA money, you must still fear your ex-spouse and the IRS. A judge can issue a qualified domestic relations order in a divorce proceeding that gives an ex-spouse title to part or all of your IRA. Another threat to your IRA comes in the form of the Internal Revenue Service. Armed with a federal tax lien, the service can attach your assets, including your retirement funds. If you live in certain states, you might be able to keep your IRA intact without declaring bankruptcy. These states have statutes to exempt traditional and Roth IRAs from creditor judgments. Other states are problematic. In California, a judge evaluates how much money you’ll need in retirement. Funds beyond this amount, including IRA money, are up for grabs. Similar rules apply in Georgia, Maine, South Carolina and Wyoming. Some states, including Alabama, Hawaii, Indiana, Mississippi and Montana, protect traditional IRAs but not Roth accounts. Your IRA’s protection might not survive you. IRA assets inherited by your beneficiaries might be available to their creditors, depending on where the beneficiaries reside. If this concerns you, you might consult with a trust expert. Trusts can be designed to protect your assets from creditors. By bequeathing your IRA to an irrevocable trust, the assets are safe from your mortgage holder and other creditors. Do not attempt to transfer an IRA to a trust, as the IRS considers this a distribution and might hand you a tax bill. You’ll have to pay that. National Institute of Pension Administrators: Retirement Assets: Are They Protected? If I Get Foreclosed on, Can the Bank Go After My Retirement Benefits? 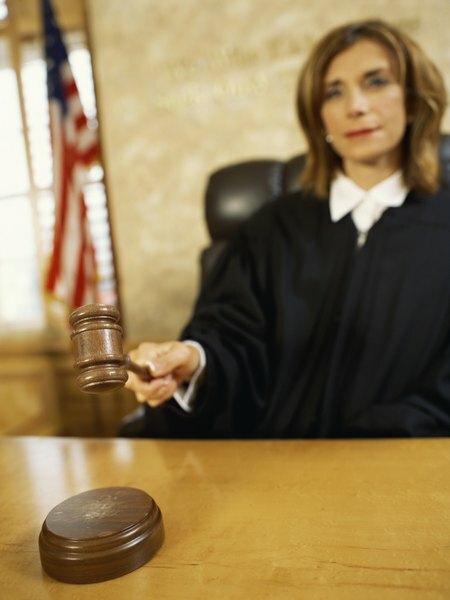 Can a Roth IRA Be Subject to a Judgment? Is a Retirement Account Judgment Proof? Should I Close My IRA & Pay Down Debt With It?